WF 9205-65 - Global International B.V.
For downloads see our downloads page for the WF 9205 series. 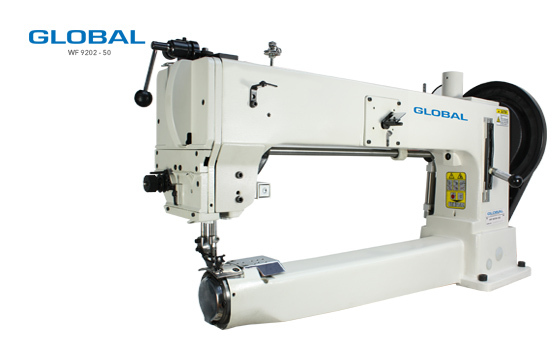 Extra heavy duty longarm walking foot cylinderbed sewing machine with large barrel shuttle hook. Specially designed for sewing heavy materials. This machine has a 65 cm working space between needle and frame. Pneumatic presser foot lift and back tack are available as an option.